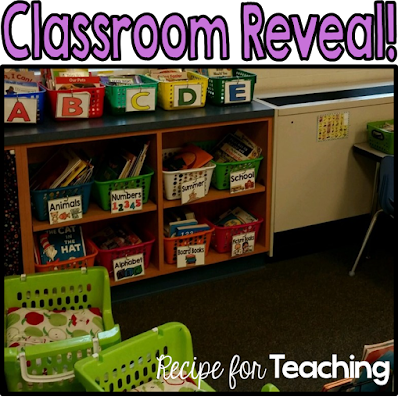 I am so excited to be sharing my Kindergarten Classroom Reveal with you!! 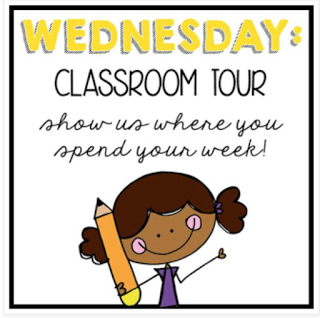 I am joining Ashley and Angie for their #2getherwearebetter Classroom Reveals AND Blog Hoppin' for their Classroom Tour! Thanks for the great link-ups! I have posted a few pictures here and there on Facebook and Instagram, but be prepared for picture overload in this post!! First, I keep these Inspirational Posters on the cabinets by my desk. I think they are great reminders for both kids and adults! Here is a view of my cubbies before my students put their books/poems in them! I got the baskets from the Dollar Tree! 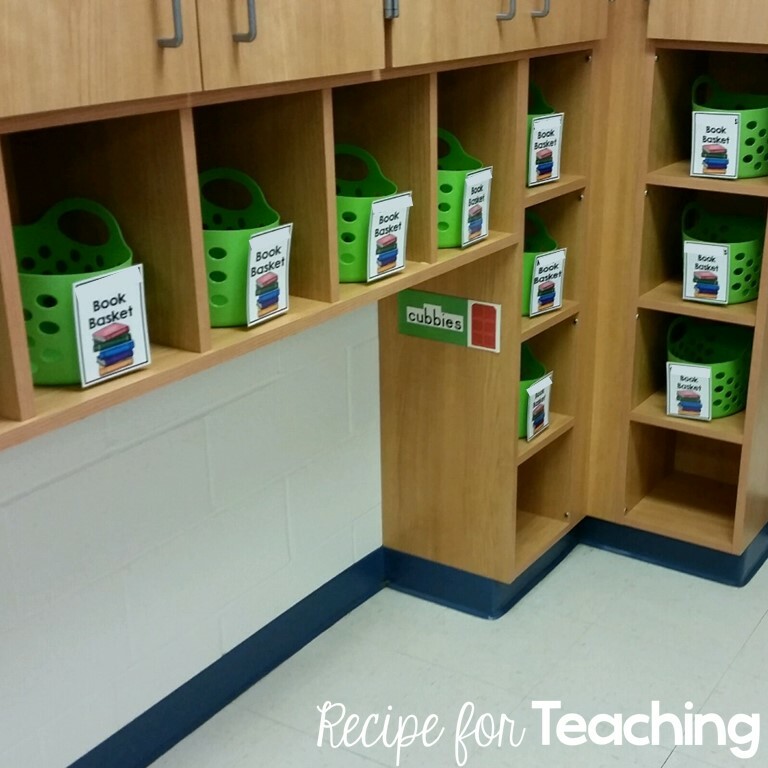 I was SO excited to find a class set of baskets! This was a little Back to School gift to myself! I picked it up on sale at Cracker Barrel over the summer and just thought it was so beautiful! And what classroom is complete without a few cute stuffed animals?!?! I have a few more (a lot are from Kohl's when they do their Kohl's Cares books), but didn't put them in a picture! The Cat in the Hat is actually from Build a Bear years ago! And this is Winston! I picked him up in Vegas this summer from Terry Fator's show! He likes to help kindergarteners with their letters! And let me just tell you about that rocking chair! It used to be at my mom's house and she gave it to me my first year teaching. It is such a nice quality chair! Everyone who sits in it always says how comfortable it is! Here is how I share my objectives for the day. Super easy and displays them nice and big for the kids when I refer to them during a lesson. You can kind of see a little of my Schedule Cards in this picture. I updated them and love them! Those Fundations letter posters fit perfectly in that wall space! 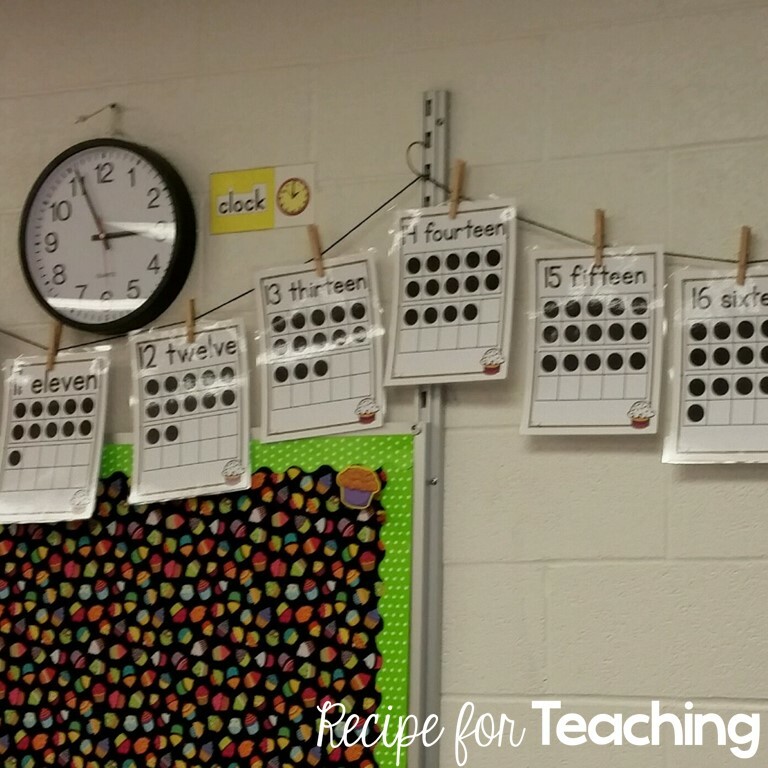 I bought that Number Line my very first year teaching! It's great! The Month Cards are in my TpT store. I was using month cards from an old bulletin board set and thought I would give those a little update! Here is a better view of my calendar board! This used to be my board that I would write my message on, however now I used it for Fundations letters and it displays our books that we read. I also use a clip chart which works well with my students. Our school uses either cards or clips as behavior management. The reason I don't use that board for my message anymore is because I have an AWESOME interactive board that I use! We played this "Roll and Cover" bus game the other day and I am able to project it up for them and then make circles that look like counters. The kids LOVE it! Here is a picture of my classroom library. I got those crates and pillows last summer at Walmart and they are perfect for the kids to sit in. This is the first year I set up my classroom library like this and I really like it! I made new library labels for my baskets this year too! I keep my baskets of "theme" books on top of my cabinets so I can rotate them out in my library. But, those cabinets are FILLED with more books! When I opened my cabinets for one of my teammates I think her reaction was, "Whoa Heather!" I also put my word wall on the cabinets. I moved my guided reading table this year and it is right by these cabinets. I'm so excited because they will really be able to reference the word wall during small groups. During reading groups, my students independently rotate to different reading centers. These are the centers we have introduced so far. Their center groups go to the left of the independent reading cards and I rotate the center group cards each day. This is my writing center! I am really excited about it. I have always wanted to hang the writing cards up and finally found a way to this year. I am going to put Fundations paper, Stationery Paper, blank paper, cards, etc. for the writing center in these drawers. This is my poetry center. We have been reading this poem and learning it so that my students can independently read it at the poetry center! Also at this center are poetry folders for each of my students. We add the poem from each week to the folder and then send it home on Friday. 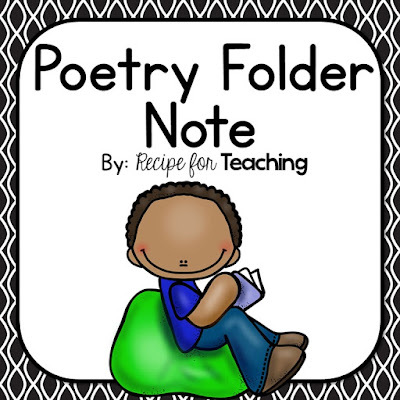 If you would like the letter that I use in the folder to explain poetry folders, just click the picture below to download! This is a view of my computer center. I am so lucky to have five laptops for my students to work on! I shared about how I used that tree for Back to School night in a blog post and my plan is to hang some magnetic letters from it! Just haven't quite done that yet! This is where my Be the Teacher center is. I haven't introduced it just yet, but my students pretend to be the teacher and read the poem that is there. They can also practice what we learn in Fundations here. This center is always a hit! We have been getting to know a "Friend of the Day" each day of school and this cheer is perfect for that. I can't remember where this chant came from, but we typically start our year off with it. It's a great way to learn about our new friends! This will eventually turn into the Pocket Chart center. My plan is to use these cute bins from the Dollar Tree for my reading group materials! These are some anchor charts we have made this year. We read No, David! and talked about things David did and what he should have done instead. Sarah from First Grader at Last had posted the cutest "No David, Yes David!" activity to do with that book on her Instagram! We extended on that by making a "No Kindergartener, Yes Kindergartener" chart. 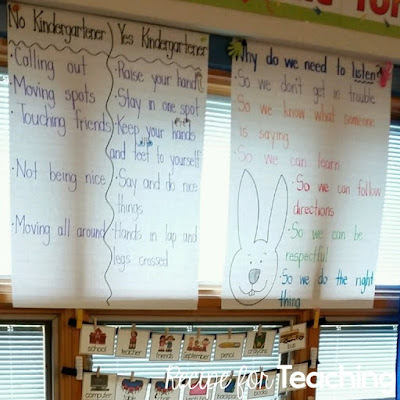 The other anchor chart we made after reading Howard B. Wigglebottom Learns to Listen. Love that book! I keep my materials organized in this bin. It was actually my brother's when he was little! It works really well! This is one of my bulletin boards, along with my Fundations organization. Right above that bulletin board hangs my 0-20 Ten Frame Posters! Since I love baking cupcakes, they had to have a little cupcake on them! I LOVE Math Stations! 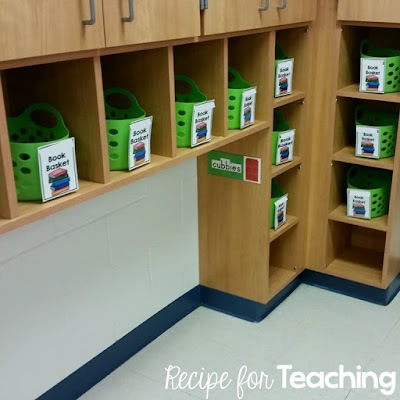 I use these bins to organize Math Stations. We haven't started doing stations yet, but I have been adding different games we have played to the baskets so that I will soon introduce how we do stations. 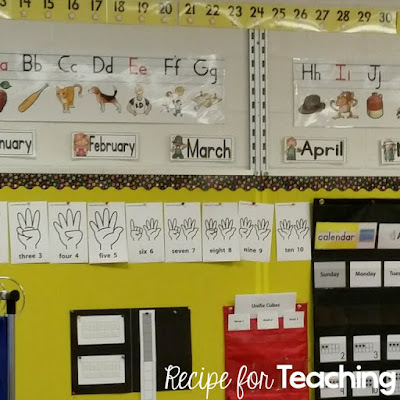 My Shape Posters are so perfect for my students to see how to spell the shape and make it! The 2D posters can be found here and the 3D posters can be found here. Wow that was a long post, but I just had so much I wanted to share with you!!! Can't wait to check out some other classroom reveals! 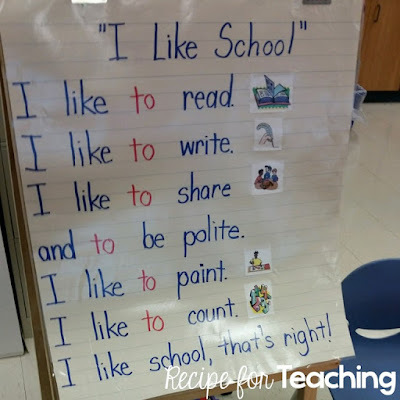 I hope everyone has a WONDERFUL school year!